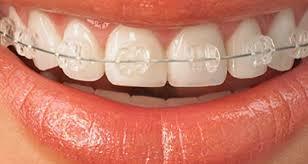 Looking for Braces from the best dentists in Jabalpur? Braces can be one of the best decisions in your life to have a dazzling white and cute smile. Dr. Abhinav Shrivastava is an experienced orthodontist who can help you gain that smile with braces. You can use braces to fix unaligned teeth that are placed one over another, and to reduce the risk of infection or cavities. Braces can also reduce teeth grinding and chronic headaches when they are used to fix overbite or under-bite. They can relieve constant pain and help patients to live without using painkillers for temporary comfort. Braces promote healthy teeth, reduce pain, and help you improve self-confidence with flawless smile. They also make your teeth stronger and better deal with regular brushing and occasional effects of sugary drinks and desserts. Usually, braces are affordable and several developments have made them both less noticeable and cheaper over the years. As a general rule, cost of braces varies as per the severity of problem and the time it takes to fix. They may also be very affordable as per the types of braces you are going to use, such as transparent braces, metal braces etc. Overall, you may rest assured that braces cost a lot less than you can assume. Our orthodontics will help you choose the right treatment for best results. To know more, please fix an appointment with us for straighter teeth.